The Jordan River Trail ( approx. 2.6 km) is located in the Jordan Falls community. From the trail head you can walk along the trail to the left to end near Camp Jordan or to the right to go across the Jordan River. The former CN bridge has a fenced board walk along it; you walk beside salt water marshes to the trail end where it meets the Lower Jordan Road. 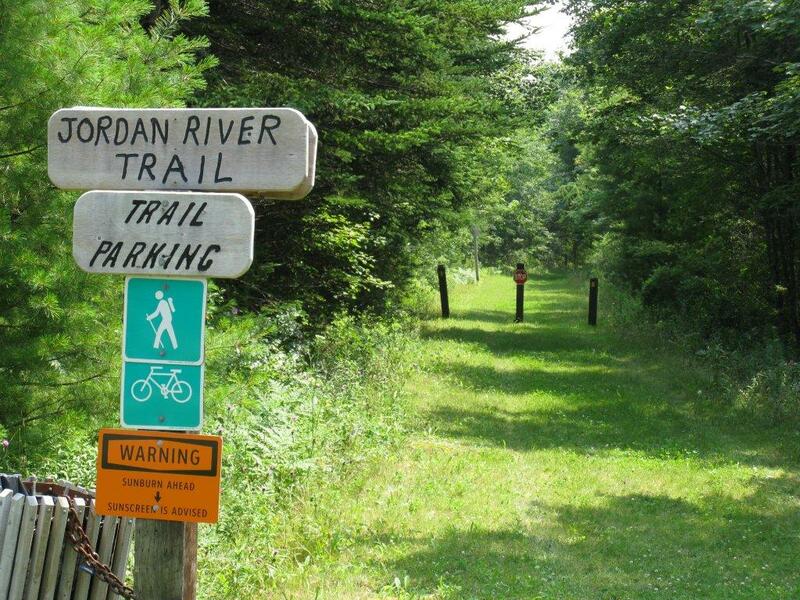 Click here for more information about the Jordan River Walking Trail.